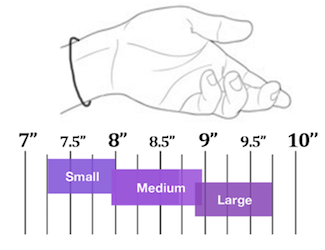 This bracelet length guide can help you find the perfect fit regardless of the specific bracelet design that you choose. 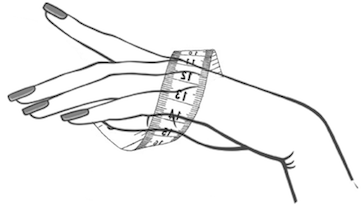 You can wrap the measurement tape around your wrist, just below your wrist bone and measure the length. 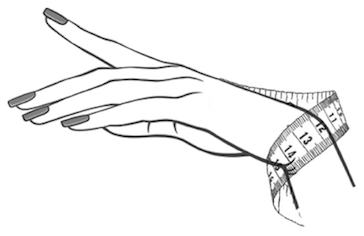 You can also measure the hand, where it is the broadest, to ensure that the bracelet doesn't roll across the hand. 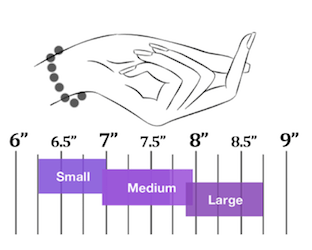 For Pearl Bracelets Add one to one and a half inches to your measurement in order to make sure that the bracelet you purchase will fit you comfortably. 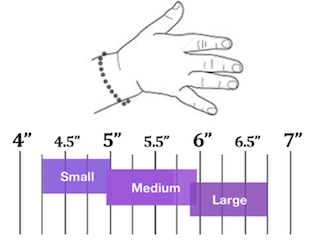 Standard bracelet sizes are listed as extra small, small, medium, large, extra large or petite, medium, large, plus size, and anklet. Men’s and children’s sizes will be listed differently.